welcomes full research articles in the area of Information and Communication Technology from the following subject areas: Theory, Signal Processing, Electronics, Computer Network, Telecommunication, Wireless & Mobile Computing, Internet Technology, Multimedia, Software Engineering, Computer Science, Information System, and Knowledge Management. welcomes full research articles written in Bahasa Indonesia or in English in the area of Visual Art and Design from the following subject areas: Design History, Art History, Visual Culture, Design Methodology, Design Process, Design Discourse, Design and Culture, Sociology Design, Design Management, Art Criticism, Anthropology of Art, Artifact Design, Industrial Design, Visual Communication Design, Photography, Interior Design, Craft, Architecture, Film, Multimedia, Creative Industry, Design Policy, and other historical, critical, cultural, psychological, educational and conceptual research in visual art and design. Authors are invited to submit articles that have not been published previously and are not under consideration elsewhere. The ASEAN Journal on Hospitality and Tourism is published by Tourism Research and Development Centre, Institut Teknologi Bandung, Indonesia. The main purpose of this international refereed journal is to advance and foster tourism and hospitality education, research, and professionalism in the Southeast Asia region. The journal provides a vehicle for increasing awareness, consideration and analysis of issues in tourism and hospitality, and also promotes the interchange of ideas, and comparative studies, both within the countries of the region and between these countries and other parts of the world. Jurnal Ilmu Desain terbit 3 kali setahun, dengan tujuan untuk mengembangkan keilmuan dan keprofesian desain dalam segala spesifikasinya, yakni: desain komunikasi visual, desain produk industri, desain arsitektur-interior, kriya, desain dan kebudayaan, desain dan teknologi. Redaksi menerima sumbangan penulisan artikel baik penelitian teoritis maupun penelitian karya desain (laporan dari proyek penelitian dan pengembangan desain). Artikel tidak harus sejalan dengan pendapat redaksi. Jurnal Geoaplika merupakan salah satu Jurnal Fakultas Ilmu Kebumian dan Teknologi Mineral ITB sebagai media komunikasi antar pakar di bidang kebumian, yang juga merupakan media publikasi spesifik di bidang geologi terapan. Jurnal ini lahir sebagai salah satu bentuk nyata peran serta Kelompok Keilmuan (KK) Geologi Terapan, Fakultas Ilmu Kebumian dan Teknologi Mineral, ITB guna mendukung percepatan tercapainya target mutu ITB, sebagaimana telah dipaparkan Rektor ITB pada acara temu awal tahun akademik 2005/2006 22 Agustus 2005, dan pada acara Saresehan Penjaminan Mutu ITB 22 Desember 2005, yang menyatakan target mutu ITB pada bidang publikasi ilmiah yang berkaitan dengan proses belajar mengajar antara lain 20 % dari Skripsi S1 dapat dipublikasikan pada prosiding pertemuan ilmiah serta 30 % dari Tesis S2 dan 40% dari Disertasi S3 dapat dipublikasikan pada jurnal nasional dan atau internasional. Hasil-hasil penelitian yang tidak secara langsung berkaitan dengan tugas akhir mahasiswa meliputi penelitian yang didanai ITB, hibah kompetisi DIKTI, dan penelitian yang didanai dari sumber lain di dalam dan luar negeri. 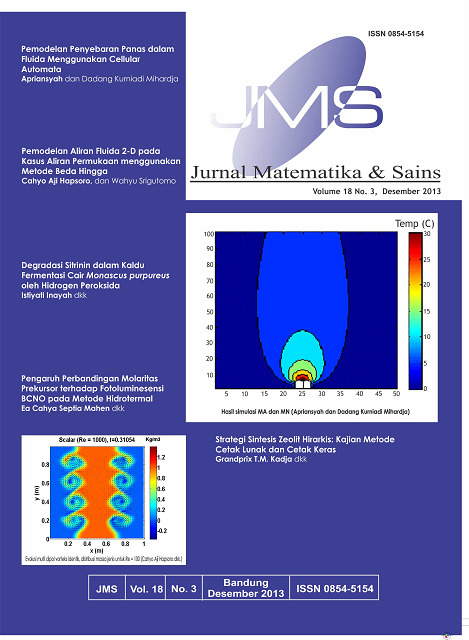 Jurnal NANOSAINS & NANOTEKNOLOGI (J. Nano Saintek. 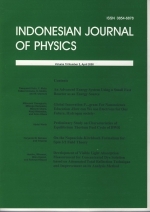 ), ISSN 1979-0880 is published by the Materials Research Society of Indonesia (Himpunan Riset Material Indonesia). 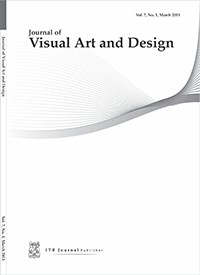 It is published biannually on February and July. Original manuscripts considering all aspects of nanoscience and nanotechnology researches are welcome. Research results regarding the applications of nanoscience and nanotechnology in solving the problems in tropical region such as tropical diseases, tropical environment, tropical resources are highly considered for publication. This is an open access journal. Staring from February 2010, all papers are published in English. 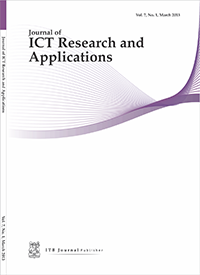 International Journal on Electrical Engineering and Informatics is a peer reviewed journal in the field of electrical engineering and informatics. The journal is published quarterly by The School of Electrical Engineering and Informatics, Institut Teknologi Bandung, Indonesia. All papers will be blind reviewed. 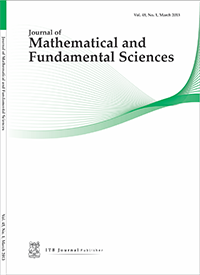 Accepted papers will be available on line (free access) and printed version. No publication fee. Jurnal Matematika dan Sains (JMS) diterbitkan sejak 1996, dengan frekuensi 2 kali terbit setahun, dan memperoleh akreditasi Direktorat Jendral Pendidikan Tinggi sejak Maret 1999. Mulai 2003, frekuensi penerbitan menjadi 4 kali dalam setahun. redaksi menerima naskah ilmiah hasil penelitian, pikiran dan pandangan, artikel ulasan undangan atau komunikasi singkat dalam bidang matematika, ilmu pengetahuan alam dan farmasi. Naskah yang akan diterbitkan adalah naskah yang dinilai oleh independent referee dan disetujui oleh Dewan Redaksi. 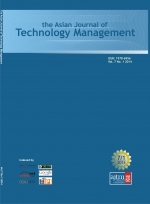 The Asian Journal of Technology Management (AJTM) aims to promote interdisciplinary research regarding the special problems and opportunities related to technology management fields in Asia and its effects beyond. It publishes papers by worldwide scholars, practitioners, and those interested in Asian technology development under one of these classifications research paper, viewpoint, conceptual paper, case study, literature review. The journal is intended as an instrument for individuals conducting research on technology management at both micro and macro level of analysis as well as its relationship with other managerial functions such as operations, marketing finance, and human resource. 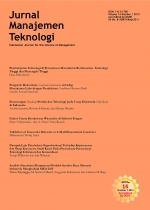 Jurnal Manajemen Teknologi is one of scientific publication own published SBM ITB, to support development management theory and practical in Indonesia through dissemination finding research in the field of science and case management. This journal has been famous in the expert and scholarly in Indonesia as "The Indonesian Journal for the Science of Management" in field coverage such as: Knowledge and People Management, Operations and Performance Management, Business Risk, Finance and Accounting, Entrepreneurship, Strategic Business and Marketing and Decision Making and Strategic Negotiation. Journal of Technology Management ( Jurnal Manajemen Teknologi ) has accredited " B " by the Director General of Higher Education, Ministry of National Education No. 81 / DIKTI / Kep / 2011 . Validity period of 5 ( five ) years.